Review the kinds of fees that come with credit cards. Weigh all costs, then choose the card that costs you the least money. 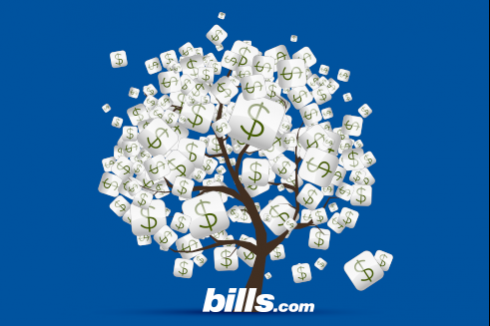 Use an online bill-paying service, to avoid late fees. To find the right credit card, you need to do your homework. A primary consideration will be the interest rate that the creditor charges. When it comes to selecting a credit card, the fees your creditor charges you are no less important than the interest rate. Fees come in various shapes and sizes and. they can quickly add up to a significant amount of money. You don’t want to choose a credit card with a low interest rate, if associated fees of the card end up costing you more than you would save with the low interest rate. There are a variety of fees that can hit you, but none of them should come out of the blue. Credit card companies are required to disclose all fees and the costs you will pay. Make sure to read the disclosures that come with your card, in order to make an informed decision. Service fees are due when you use a specific service that the issuer offers. You may choose to use the service and pay for it or to not use the service and avoid the fee. The one service fee that you cannot avoid, if it comes with the card, is an annual fee or membership fee. Annual Fee - A card with an annual fee requires you to pay the issuer a yearly amount to use the credit card. While the fee is charged yearly, some creditors allow you to pay the fee in installments. Annual fees are often charged by issuers of reward cards. There are many credit cards available with no annual fee. If you choose a card that charges an annual fee, make sure the benefits the card provides outweighs the cost of the fee. Foreign Transaction Fees - When you use your credit card to make a purchase from a foreign company, you may be charged a foreign transaction fee. This can apply to purchases made online from a foreign company or purchases you make when travelling overseas. The foreign transaction fee varies from card to card and the difference can be quite significant. Before using a credit card with these fees, compare the costs on different cards you have. If you travel abroad extensively a smart thing to do is shopping for a card with a low foreign transaction. Paper Statement Fee - Most creditors prefer you to transact your business with them electronically because it lowers their costs. In order to push you towards online transactions, some creditors charge if you choose to receive a paper statement in the mail. This fee is becoming more common. If you require a paper statement, , consider printing the online statement and avoiding the paper statement fee. Payment Protection Fee - Payment protection fees are essentially an insurance policy offered by your creditor. If you become disabled, unemployed, or meet the creditors definition of a financial hardship. The creditor pays minimum payments on your credit line and suspends finance charges. Payment protection fees usually have higher costs and less coverage than you can find for disability insurance through a reputable insurance agent. If you are interested in enrolling in Payment Protection, please ensure you read all of the disclosures carefully to ensure it covers your needs. Penalty fees are extra charges you can and should avoid. You only incur them, if you violate a term of the conditions you agreed to when you signed up for the credit card. Late Fees - Paying your minimum monthly payment even one day late causes serious harm. You will be charged a late fee and can have your interest rate raised to the creditor’s default rate, which can be sky high. Paying less than the minimum monthly payment, even if you pay on time, will subject you to a late fee. A great way to avoid late fees is to make your payments online. You can set up an automatic payment for an amount that will always meet the monthly minimum payment required. You can supplement that payment, if you wish, with a second payment to pay the balance in full. Over Limit Fees - Over limit fees are charged when the amount owed exceeds your credit limit. In addition to exceeding your credit limit through your purchases and cash advances, you can exceed your limit by with amount of finance charges the creditor charges you. As of early 2010, federal law requires a creditor to obtain your permission before processing a transaction that will cause you to exceed your limit. You will be charged an over limit fee each month you exceed your credit limit. If you do exceed your limit, work hard to pay more than the minimum payment each month, because the finance charges you accrue may be greater than the minimum payment required, keeping you over the limit each and every month. Reward Recovery Fees - Reward recovery fees apply only to cards that offer you a reward for your purchase, such as frequent flier cards. If you are late on a payment on a reward card, you may forfeit all the reward points you accumulated. Some creditors allow you to reclaim the points you earned by charging you a fee. Activity Fees - Some creditors will charge you a fee if you do not use your card for a certain dollar amount of purchases within a year. While this is called an activity fee, it should be called an inactivity fee. It is your responsibility to know if this is a fee charged by your creditor. If they do, make sure you use the card often enough to avoid the fee. The government enacted a law in 2009, to protect consumers from fees and charges that Congress felt were excessive and to provide consumers transparent disclosures from the creditors. The Credit Card Accountability Responsibility and Disclosure Act of 2009 is an amendment to the Truth in Lending Act. The law protects customers from hidden fees and unexpected interest rate hikes. The law was implemented in two phases. The first phase took place in August, 2009 and the second phase took place in February 2010. "Fee Traps" Banned: Credit card issuers will have to give card holders a reasonable time to pay the monthly bill. Consumers must have at least 21 calendar days from time of mailing to the due date. The act also ends late fee traps such as weekend deadlines, due dates that change each month, and deadlines that fall in the middle of the day. Fair Interest Calculation: Credit card issuers will be required to apply excess payments to the highest interest balance first. The act also ends the practice by which issuers use the balance in a previous month to calculate interest charges on the current month, so called "double-cycle" billing. Requires Opt-In to Over-Limit Fees: Consumers will find it easier to avoid over-limit fees because issuer must obtain a consumer's permission to process transactions that would place the account over the limit. Restrains Unfair Sub-Prime Fees: Fees on subprime, low-limit credit cards will be restricted. Limits Fees on Gift and Stored Value Cards: The act enhances disclosure on fees for gift and stored value cards and restricts inactivity fees unless the card has been inactive for at least 12 months. Find and use the card that fits your lifestyle. Consider the costs associated with the card that appeals to you and make sure the benefits of the card far outweigh those costs. Read the disclosures carefully. Weigh all the costs. For instance, if you pay your balance in full each month, it may make more sense to select a card that offers you rewards with a fee if benefit you earn outweigh the costs of the fee. If you commonly carry a balance, it may be best to pay a fee if you find a card with the lowest interest rate. Don’t pay fees for perks and benefits that sound appealing but you are not likely to use.